Here are some of the most frequently asked questions we receive dentists and dental specialists. Our intention is to provide answers and plenty of links to our resources that you will find useful. Why should I consider using Berning & Affiliates, Inc? You should consider using us if you seek proven products and personal guidance for Doctor CEO’s. Our years of experience and many satisfied clients tell the whole story. Check out our Brochure. It states, “No matter what the situation you face, no matter how complex or intertwined, we know what to do and can guide your steps. As a result, opportunities that you might have turned away from come within your grasp. Challenges are not so tough. With us as your personal and knowledgeable guide you’ll have an easier time making decisions and implementing your plans. You’ll find your practice and life in general go smoother when you have competent advisors assisting you!” Read our Testimonials for doctors personal comments on their experience. We have many carefully chosen affiliate firms and individuals that are prepared to help you too. Check out Randall Berning, President of Berning& Affiliates by viewing his Profile to learn about his in-depth involvement and understanding of Doctor CEO, transition and valuation matters. I want to use Berning & Affiliates to help me. How do I do it in the most cost effective way? The most cost effective approach is to use our Approaches & Resources menu pick. This series of items provides guidance on practice and personal life planning areas for you to acquire as a Doctor CEO and to use in planning your practice associateship, partnership or sale. Some of the items have a charge and others are provided as a convenience without charge. Gaining an understanding of important issues is critical for Doctor CEO’s and our Smart Doctor CEO Interactive Newsletter and those of our other newsletter providers can be very cost effective. Also check out the full range of products including the Expert Series and the Special Reports we have in our Web Store. If you want personal guidance start by scheduling a Tackle It consultation and speak directly with Randall Berning. I have a complex practice transition/succession and need to build value in my practice, can you help? I need a practice valuation. How can you help me? We offer a high quality practice valuation service, the DDS ValuePoint. It is high quality because it is prepared by certified valuation experts. It is important to recognize that not all valuation services provide the same level of work product. Some valuation services in the dental profession provide a shallow “rote” computer driven or rule of thumb report. Our valuation affiliates are carefully selected, have dental practice valuation experience and apply the ADA publication Valuing a Practice guidelines. This publication was co-authored by Randall Berning. If you have not read through the publication is strongly suggested that you and any prospective partner or purchaser do so as well. It has a wealth of information you will find helpful. You can order the ADA publication from the ADA or directly from our Store. If you order it from our Store you will receive an added monograph called ADA Companion Reader Valuing a Practice. You can receive a valuation quote at no charge, click on DDS ValuePoint Quote. My practice needs an associate. How can you help me? We offer a series of steps you can take to move forward your interest in finding and qualifying an associate at our Approaches & Resources menu pick. You can start by using our free Opportunity listing service. We developed our Opportunity Listing on our website as a free service to encourage that postings of listings could be placed with no text limit. We have found that the more fully the practice, the opportunity and the attributes sought are described in the opportunity listing the more likely you will find the candidate you seek. We have forms for you to consider that include an agenda for a discussion with your prospective associate, a work sheet on expectations, questionnaires and form agreements. If you want to discuss options and specific arrangements for the associateship consider scheduling a Tackle It consultation and speak directly with Randall Berning. How can Berning & Affiliates to help me to evaluate an associateship or partnership opportunity? We routinely suggest that for associateship evaluation both parties follow the materials prepared for the ADA publication Associateships, A Guide for Practice Owners and Prospective Associates, coauthored by Randall Berning. It is a very cost effective way to gain an overview of the items you must be alert to. 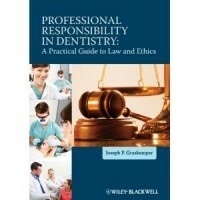 For example, in the section on Becoming An Associate there is a discussion, Guide for Evaluating an Associateship. Also, in the section on Financial Arrangements, there is a good discussion on Determining a Fair Level of Compensation and Break-Even Analysis for an Associate’s Production. You can order the ADA publication from the ADA or directly from our Store. If you order it from our Store you will receive an added monograph called ADA Companion Reader Associateships. If you want to discuss options and specific arrangements for the associateship consider scheduling a Tackle It. consultation and speak directly with Randall Berning. I am a new partner and I feel the practice lacks a coherent vision and objectives for growth. How can you help?